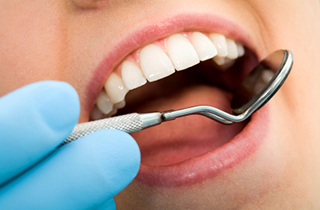 Dental fillings are a common procedure used to treat cavities or tooth decay. Decay that has spread far into the tooth cannot be treated with a filling. Fillings are used in order to prevent minor decay from rapidly spreading bacteria into the tooth’s pulp – where it then must be treated with a procedure known as a root canal. At our dental practice, you have a choice in the type of dental filling you want. Each type has its own set of advantages and disadvantages, but they accomplish the same goal: preventing further decay from occurring. These are one of the oldest options, but they are highly durable, lasting a lifetime for some patients. However, controversy has risen due to their mercury content – though it’s a very low amount. We do not typically recommend silver fillings. They also do not match the color of your teeth. Made up of composite resin, this type of filling is a great choice if you want a filling that matches the same shade as your teeth for concealment. They also chemically bond to the tooth for added support, however they lack the durability of other options - usually having to be replaced every 10-15 years. The procedure is often quick, ranging no more than an hour to complete. Composite resin fillings generally take a little longer than other options, but they come with their own set of benefits. Local anesthesia is applied to numb the area so that you are comfortable throughout. You can drive yourself home after a dental filling. 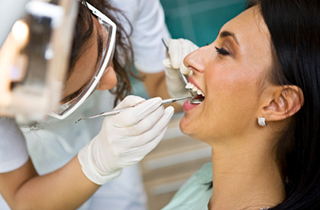 Our dentist will gladly help you decide what filling is best recommended based on your needs and budget. For more information on dental fillings, please call our office at 661-725-9105 and we will happily explain everything you need to know.